WRA has been contracted to complete all the tasks required to accomplish the Vision, Goals, and Objectives of a Range Complex Master Plan (RCMP) for Army Support Activity (ASA) Dix/Fort Dix. These tasks include a full range assessment of all existing ranges on Dix to ensure compliance with standards and functionality to support the Army’s current mission. WRA will further evaluate the needs for Dix as units are moved to and from ASA Dix to evaluate the need for a combination of new ranges or upgrades to existing ranges to keep Dix ahead of the ever evolving training demands. The final product produced by WRA will be a fully functional Range Complex Master Plan (RCMP) that addresses the current training mission and evaluates needs into the future so Dix can be prepared to execute as needed. Fort Dix was established in 1917. 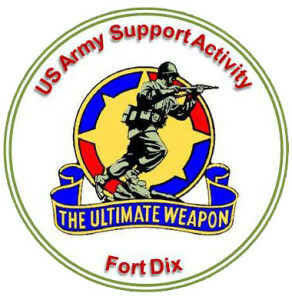 It is the home of the Army Support Activity located at Base McGuire-Dix and is commonly called “Fort Dix”, “ASA Dix”, or “Dix”. Fort Dix is a United States Army post and is commanded by an Army Colonel . It is located near Trenton, New Jersey. Dix has been training and mobilizing soldiers since World War I . Today, it is a joint training site for all services of the U.S. military. The first female recruits entered basic training at Fort Dix in 1978. Colonel Shelley Balderson became the first female commander at Fort Dix in 2015.